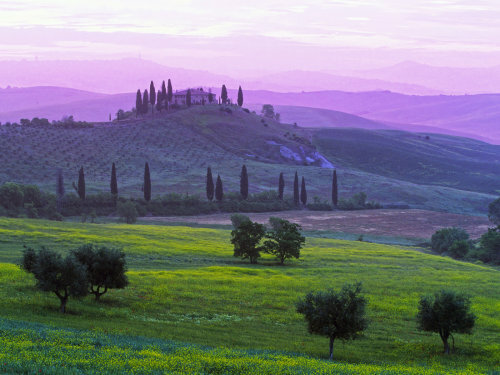 A 7 day painting holiday in the beautiful Tuscany region of Italy. Pre-dinner aperitifs, dinner at our base, or at small and friendly local restaurants with regional Italian dishes and wines. Pick-up at Pisa airport between 10am and 1pm. Settling in: exploring the gardens and river. Painting around our base, with individual tuition. Aperitifs and dinner at our base, including wine. Transport to Verrucola: impressive castle with village nestling around it. Painting at Verrucola, with individual tuition. Lunch at restaurant in Verrucola. Painting at Verucola, with individual tuition. Pick up Verrucola late afternoon, with option of drop-off in Fivizzano. Aperitifs and dinner at our base. Transport to Fivizzano (market day in Piazza Medicea, views over valley and Posara from Piazza Belvedere). Painting in and around Fivizzano, with individual tuition. Panino, ice cream and coffee at the Ricci gelateria in Fivizzano. Pick up late afternoon or stroll back to Posara. Excursion: either to Lucca or to the Cinque Terre (at breakfast time we'll provide materials for your own picnic lunch or, if you prefer, you can buy a snack or a more formal lunch when you are out - it's up to you). Sightseeing in Lucca or the Cinque Terre. Individual sketching. Packed lunch or buy yourself lunch or a snack. Transport to 'Il Convent dei Carmine', a privately owned monastery with ancient cloisters and frescoes, gardens and views. Picnic lunch at the monastery. Painting at the monastery, with individual tuition. Transport to Monte dei Bianchi. Painting in the village of Monte dei Bianchi and/or in and around the grounds of the Vecchio Tino restaurant with individual tuition: ancient houses and church, spectacular mountain views, valleys, hill-top villages, olive groves, etc. Special lunch at the gourmet Vecchio Tino restaurant (local specialities), including wines. Painting in Monte dei Bianchi with individual tuition. Transport to Pisa airport between 8.30am and 9.30am. Those with late flights may leave their bags at the airport and take a (very short) taxi ride to Pisa for sightseeing.